It's been too quiet the last while so what better way to kick things off again than with the release of a new video. 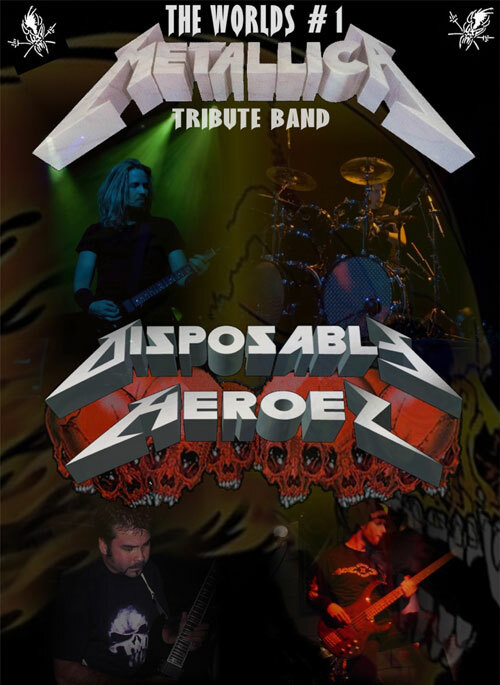 The Metallica classic Disposable Heroes performed live by DH can be viewed in the latest video HERE or on the Media page so CHECK IT OUT! In other DH news, shows and new original tunes are being worked on as of this writing so check back soon for the latest. Hello kiddies, long time no see. Disposable Heroes is pleased to announce that they have finally sucummed to the pressure and spread to the world of Facebook. Apparently this Facebook thing isn't going anywhere fast so we thought we'd use it to give you some new stuff on there. 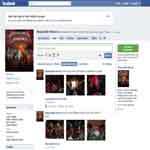 Please click the Like button below to follow DH on Facebook. There will be a ton of content on there that won't be available anywhere else so start following DH on Facebook now! The guys hadn't been up to play for the fine people of Cold Lake Alberta for a long time. This time was made even more special as the guys were playing for the troops at Canadian Forces Base Cold Lake. Not only were there tons of our Canadian troops on hand but men and women from the militaries of the United States and France were also there to take in the show. Very cool stuff and the guys were proud to play the show. Very cool show to say the least. The DH boys hope to be back up north again in the not too distant future. Disposable Heroes hadn't been back to Saskatoon in a couple of years so the guys were pumped to get back to some of the best fans in Canada. The Friday show kicked off with Wrathed opening things up, Saturday featured Myth to open the show. Both are great bands so definitely check them out if you get the chance. The sets featured a few surprises as always. Dyers Eve was blasted out for the first time in a while. 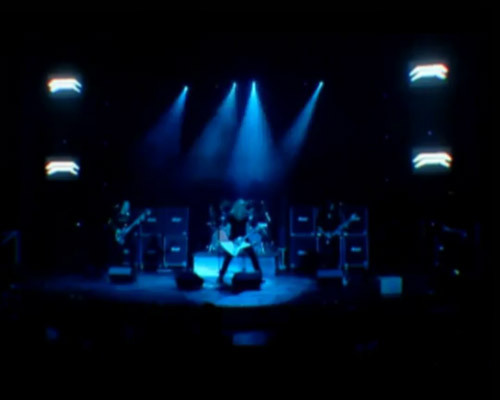 Tornado of Souls (yes, a Megadeth tune) was played both nights. Well the guys are set to return to Saskatoon Saskatchewan�for shows on Friday March 19 and Saturday March 20 at The Roxy on Broadway. It's been a couple of years since DH last played in Saskatoon so the guys thought they'd give an extra large dose of metal. How do you feel about a three hour show, both nights? Yeah, crazy right? Look for a few surprises to be added to the shows as always. In other news, Disposable Heroes have added a new show set for Red Deer Alberta on Friday April 16th at Wild Bills. The crowd was amazing for the shows last year with Paul Di'Anno so be sure to get your hands on tickets ASAP. Give Wild Bills a call at 403-343-8800. The guys had more fun than should be allowed once again in Grande Prairie Alberta. 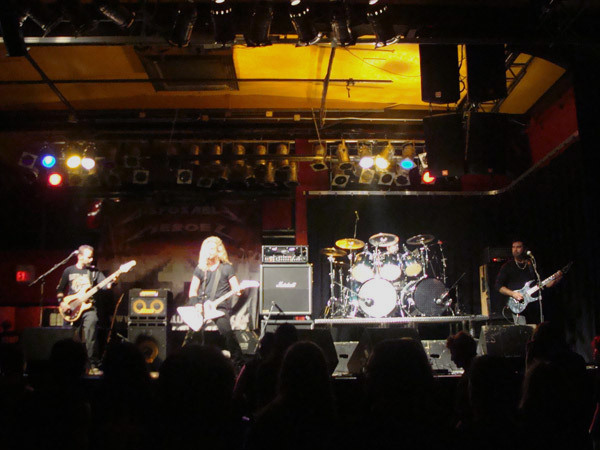 Both shows on Feb 6 &7 were packed with fans out for a good time. What more can you ask for? Highlights from the two nights included Broken Beat and Scarred, Shortest Straw, Helpless, Devil's Dance and an audience member contributing vocals to Seek and Destroy. Hello friends! Well the DH boys loved the crowd in Grande Prairie Alberta from their show with Paul DiAnno last year so much that they're returning for not one but two shows! The shows are set for Saturday, February 6 and Sunday, February 7 2010 at Better Than Fred's as a part of their UFC109 event on Saturday and a huge Super Bowl party on Sunday. Needless to say, this will be one weekend that you do not want to miss out on. Contact Better Than Fred's for information on show times and ticket availability.